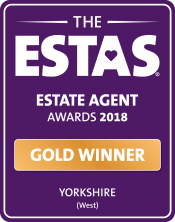 We have dedicated offices in Ilkley, Otley, Guiseley, Silsden and Skipton and we pride ourselves on our exceptional local knowledge. All of our staff live and work locally and know their patch inside out. 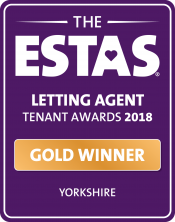 We only employ the industry’s top estate agents, so you know your property is in the best of hands at all times. Importantly we all love what we do and are passionate about property as well as the people who live in them. Our after sales co-ordinators work to ensure your sale reaches completion. This includes monitoring chain progress, liaising with lawyers, surveyors, mortgage lenders as well as pro-active trouble shooting. This is an absolutely vital role that we take seriously, often saving sales when no one else can. To experience the exceptional, please get in touch. We understand that buying and selling your can be a very stressful time – our team works its socks off to make sure this is not the case for our customers. Our aim is to create an immediate buzz around your property. 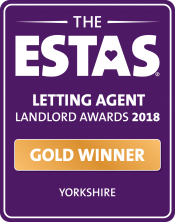 As you would expect, all our properties are marketed online, through our own, easy-to-use website which attracts many thousands of hits each month, and all the most popular property websites including On The Market & Rightmove. We produce a top-quality bespoke brochure for each property, using professional photography that will show off your house to its full potential, including floorplans, and will advertise your home in the best selling local newspapers. We also have an extensive database of people looking for homes that we will contact as soon as your house goes on the market. Some customers prefer to show people around their houses themselves, others like their agents to do it for them – we’re happy either way and will arrange appointments around your schedule. Buyers often prefer being shown round by an agent and if you choose this option, we won’t release keys, we’ll make sure the buyer is never on their own in your home and we won’t give out your personal details. Once the viewing is done, we’ll be in touch to give you feedback. When you receive an offer, we’ll give you all the information you need to make an informed decision, including the buyer’s situation and chain. One thing that really sets us apart from our competitors is what happens once your sale is agreed. We all know that this is where the real stress can start to creep in – days on end waiting to hear from solicitors, other agents, surveyors, banks and building societies. 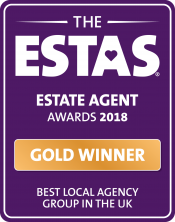 However, each of our branches has a dedicated member of staff who’ll monitor your sale, liaise with other parties and keep you informed at every step of the way, taking away the stress and helping to keep the sales process moving forward. The world of mortgages can be confusing and even overwhelming. Our experienced and completely independent financial services team has access to all the major lenders so you know you’re getting the best advice. We can visit you at home and out of office hours to help you find the right mortgage for you and help you through all the paperwork. "There were many glitches with our property being a new build. Everyone was extremely accommodating in particular Jeremy. A huge thank you."